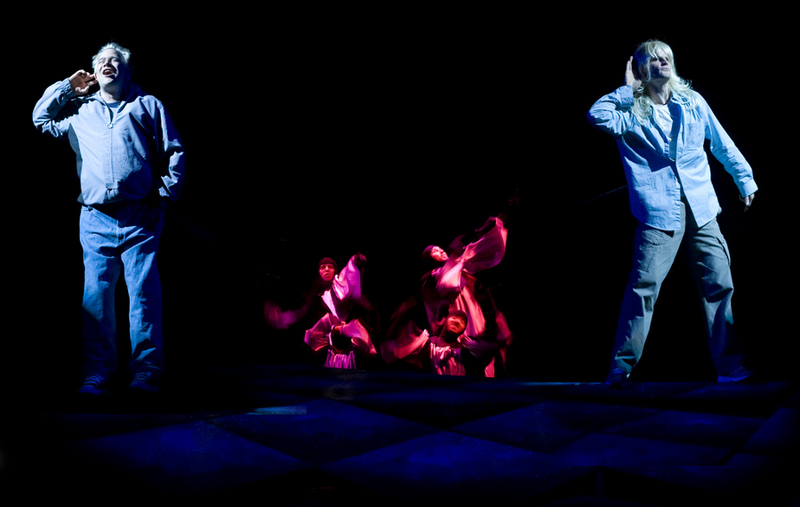 To create and produce performances that deepen the audiences’ understanding of the disability experience. We tell stories in which disability itself is not the focus of conflict, but rather forms the landscape upon which universal issues are debated onstage. Full inclusion and integration of disability both on – and off – Canadian stages; a barrier-free, diverse performing arts world that reflects the real world and all of its people. Advocating for equity on behalf of performers, backstage workers and patrons with disabilities. During his third semester in theatre school in 1990, James Sanders became quadriplegic from a spinal cord injury. Upon returning to school after a year’s rehab to complete his training, James discovered that the attitudinal barriers he experienced as a person with a disability were far more difficult to navigate than the physical barriers. In 1998 James completed his studies and graduated as valedictorian from Simon Fraser University with a BFA in theatre. 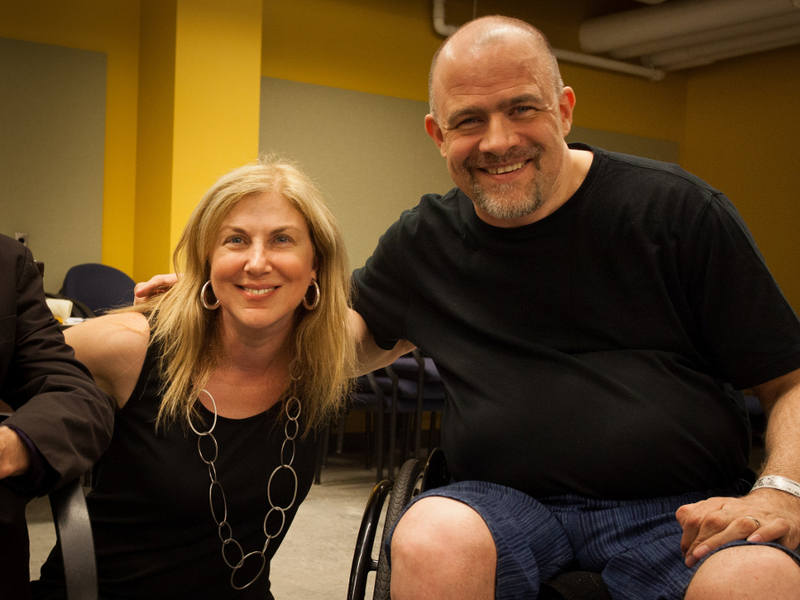 James founded Realwheels in 2003, and together with long-time friend / theatre professional Bob Frazer, they set out to change perceptions about disability by performing in a play that had nothing to do with James’ physicality. 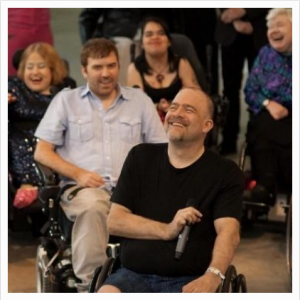 They invited Kevin Kerr to write a new play expressly for them, and these three core artists proceeded to attract some of Vancouver’s finest theatre practitioners including Roy Surette and Sven Johansson, all collaborating on Realwheels’ first production, Skydive. A huge national hit, Skydive today is regarded as an important and innovative contribution to disability arts, impacting perceptions and championing opportunities for artists with disabilities. James departed Realwheels in 2014 to concentrate on other projects. The company continues to flourish under the management and artistic direction of Rena Cohen. We remain committed to creating and producing innovative professional work reflective of our values. We’re engaged in vital community projects, and we’re taking the lead on projects that increase equity of opportunity for persons with disabilities, locally and nationally. Realwheels continues to be an integrated company. We believe disability isn’t binary, with a simple on-off. Many of us exist somewhere along the spectrum. We’re all challenged on some level. We’re interested in how we manage those challenges, and how to optimize as a broader community to ensure everyone has the same opportunities. 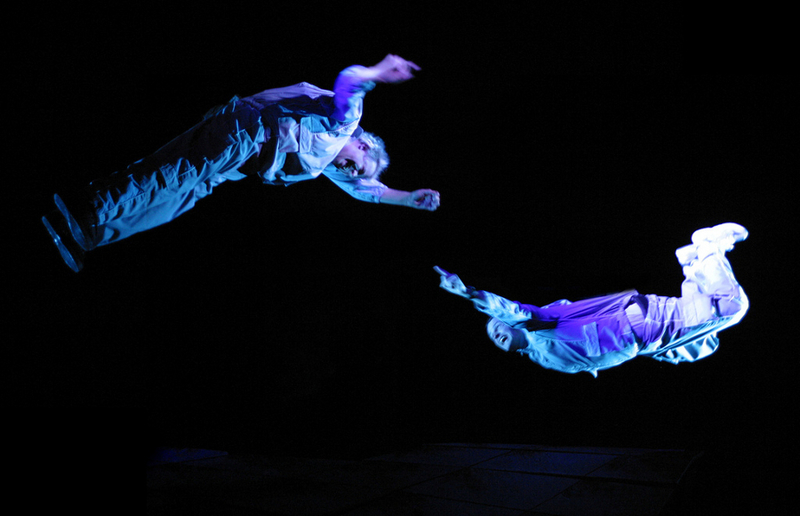 Jessie Richardson Theatre Award – Choreography – Skydive (2007) – for the amazing aerial choreography that made a quadriplegic fly!